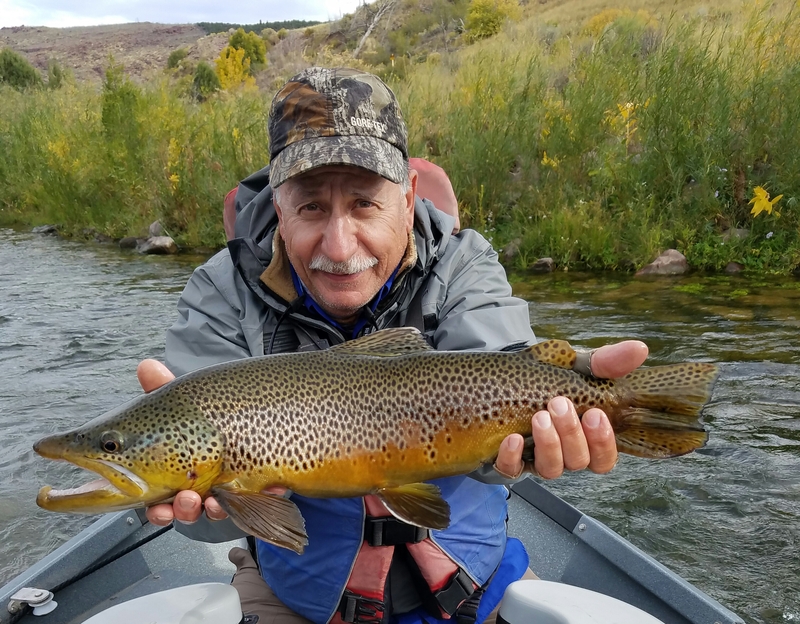 Client TJ from Farmington, UT landed this nice, fat 23 inch Brown on Utah’s Green River below Flaming Gorge Dam- on the B Section. 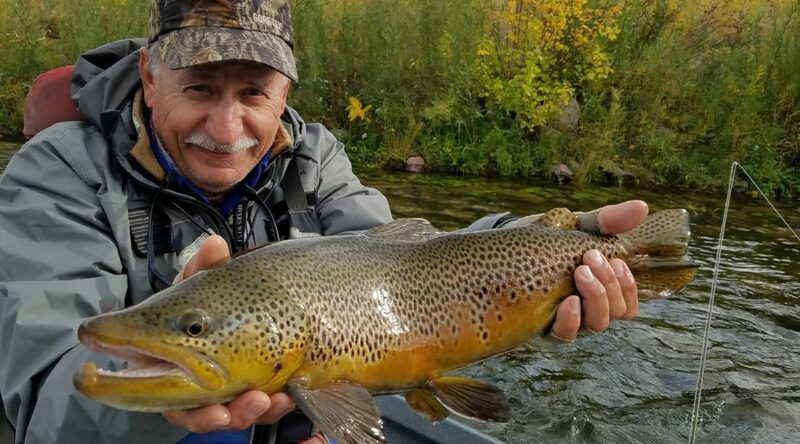 He landed this monster Brown on an itsy-bitsy size 24 nymph. Nice job TJ, we enjoyed having you and your wife with us in the boat! 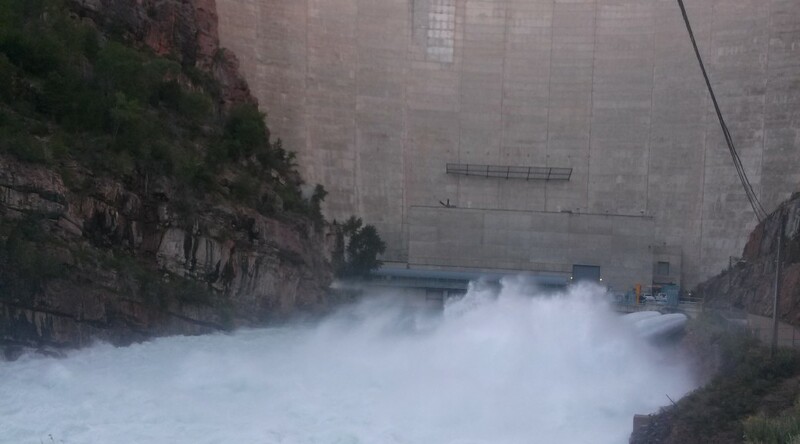 Salt Lake Tribune and Channel 13 News both released stories today asking visitors on the Green River below Flaming Gorge Dam to exercise caution during spring runoff flows. Several visitors have needed rescuing during the 8600 CFS flows, and with water temps in the 40’s hypothermia is a concern. Read the tribune story here. 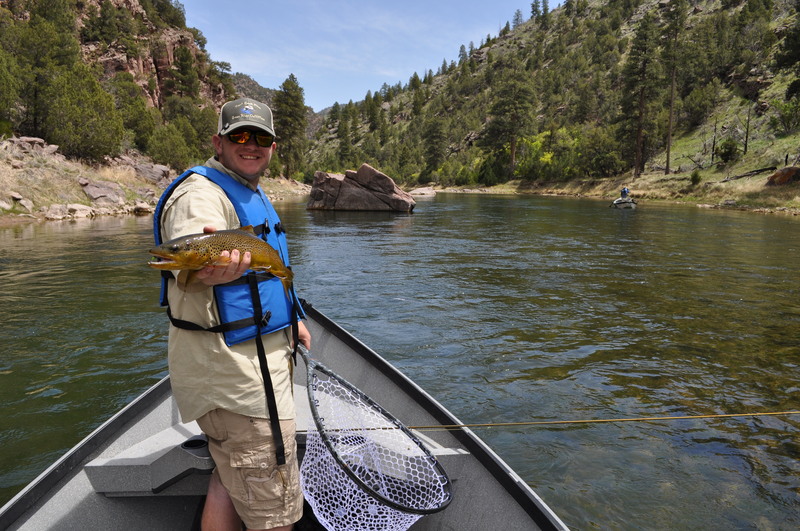 Once the high water flows end the dry fly fishing is expected to EXCEPTIONAL. The fish are strong from fighting the powerful currents and are putting up a good fight. We look forward to their SLAM on some dries when the CFS stabilizes to average summer flows. 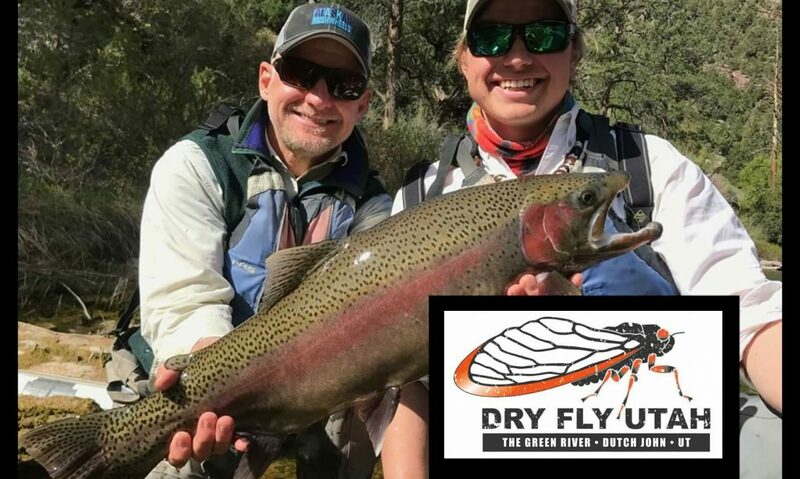 If you were jonesing for the (absent) Cicada hatch this year – the dry fly fishing to come could give you that top of the water eat you were looking for. Contact fishingwithnick@gmail.com to book ASAP- we still have some dates open! With the signal of the endangered razorback sucker larvae presence high water flows started last week on the Green River below Flaming Gorge Dam, UT. The increased CFS will last one to two weeks eventually peaking at 8,600 CFS with current flows at 7,000 CFS. 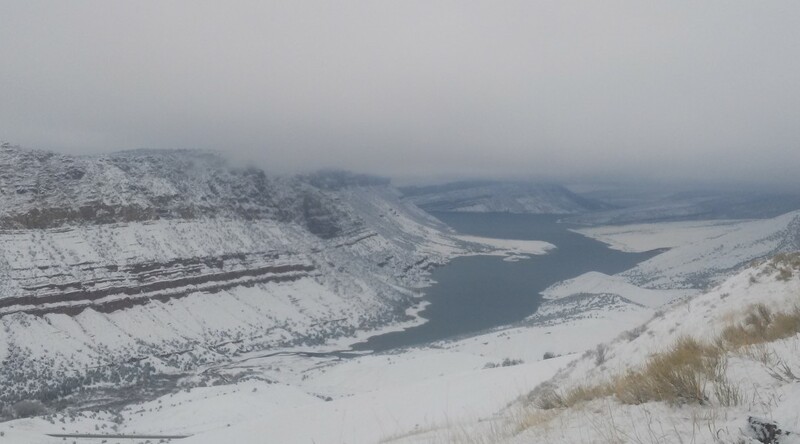 Read more about the flows from the Bureau of Reclamation here, and for current conditions from the U.S. Geological Survey click here. The high water flows and the near absent cicada hatch thus far have the dry fly action at a low. 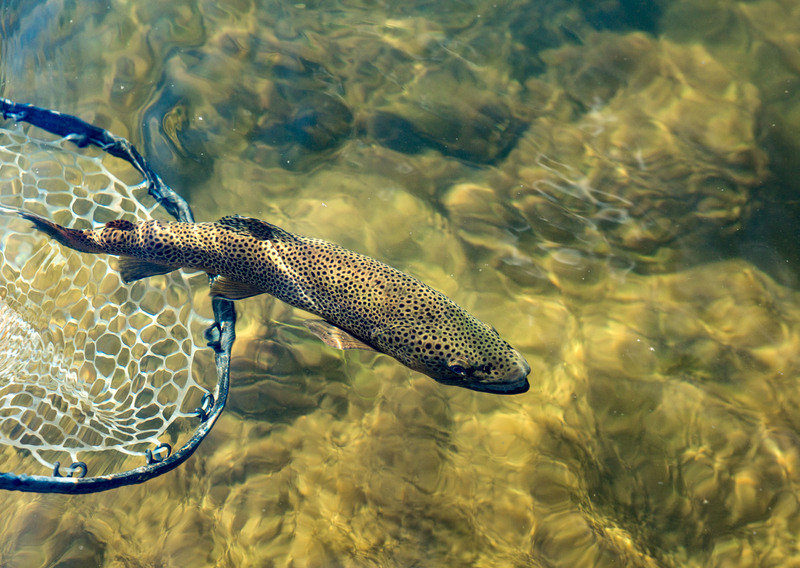 Try nymphing with a worm, egg, or scud, or a huck a streamer! 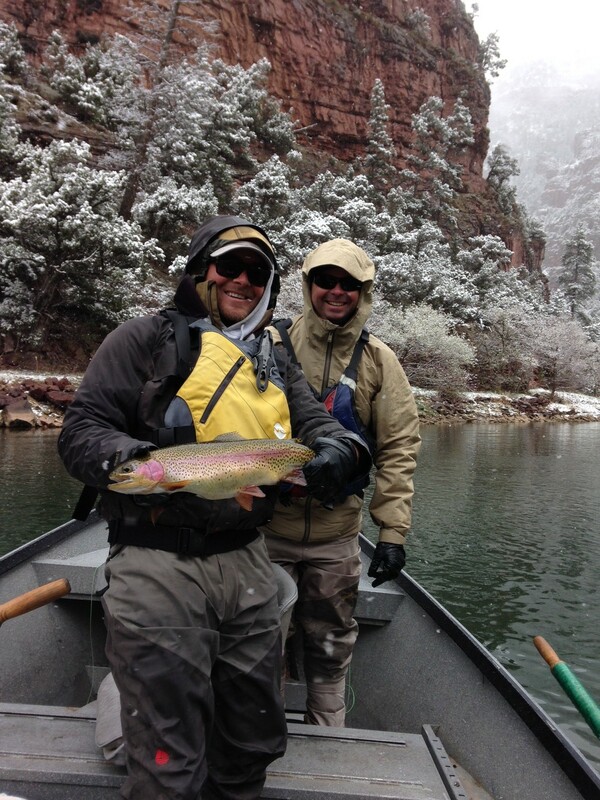 Client John Fee and Guide Nick Jackson enjoyed this beautiful, snowy, spring day on the Green River Utah recently. The beautiful rainbow ate a pheasant tail nymph. BLUE WING OLIVE HATCH IN IT’S PRIME! 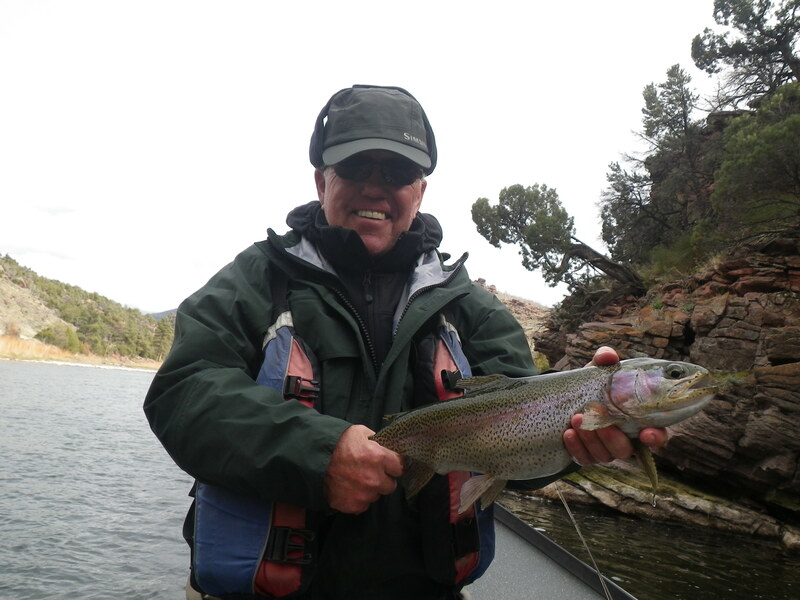 This season on the Green River is off to a great start! Guide Nick Jackson snapped this pic of client Donald on their guided trip down the A section the other day. Try a zebra midge up top and a BWO on the lower half. 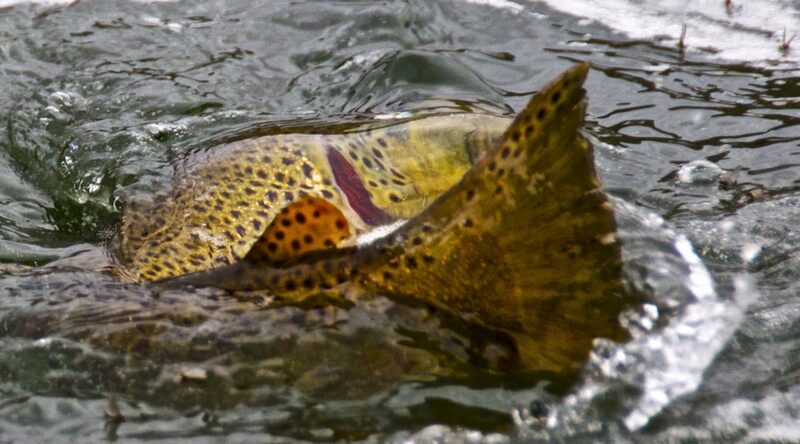 The Blue Wing Olive hatch is at it’s peak- get out there while you can and bundle up! 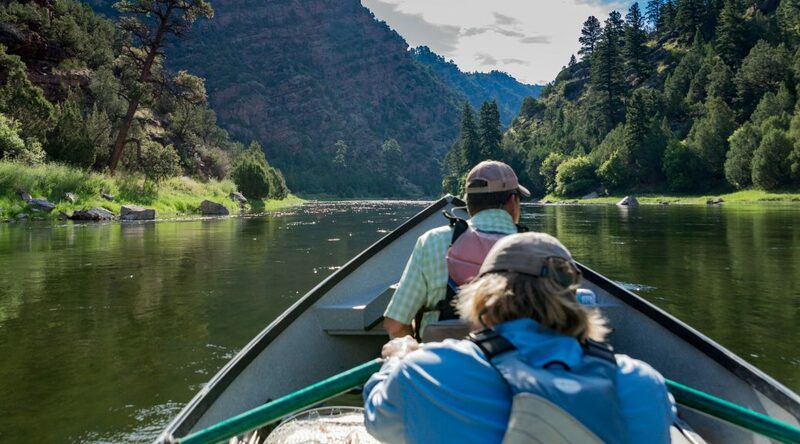 There is an estimated 8,000-22,000 fish per mile on the Green River, here’s your proof. 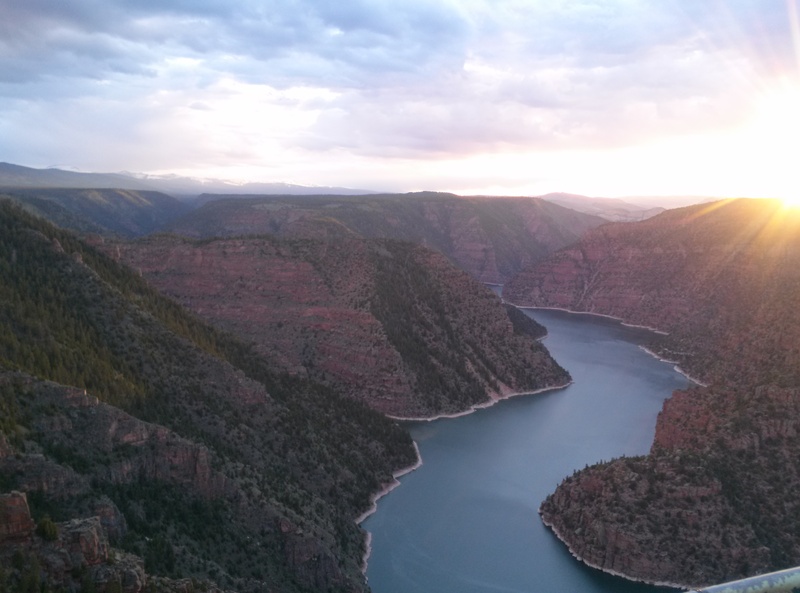 This clip was filmed just below Flaming Gorge Dam the first week of October 2015.